YogaToday’s, Adi Amar, joins us with a tip from her Renewal Series, helping us to gain some core strength as we push forward into this new year, ruled by the number 1; a number that pushes us onto new paths where we’ll need to call on our core for will-power. Adi takes us to the (uncomfortable) place where we shake in forearm plank to reveal our unconscious patterns. To try this quick tip, make sure that you have your block handy. 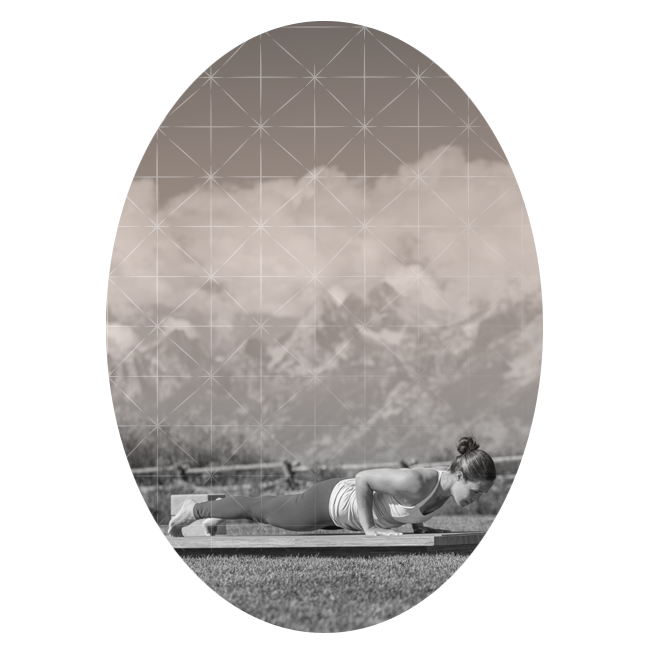 Place the block underneath your chest while you are in plank pose on the lowest or middle height. When lowering down to forearm plank (also known as four-limbed staff pose), the block will prevent you from dropping the shoulders below your elbows. As you descend through your chaturanga, allow the chest to meet the block. Take a breath here. Your elbows should only have a 90 degree bend and your chest should broaden across the block. Slightly pull your shoulders back so you do not round forward. Let Adi coach you through this quick tip; feel your strength, your struggle, and where you go (in both mind and body) when you are challenged. This is truly the yoga practice. Did you enjoy this quick tip with Adi Amar? Make sure to try the full length class, Regain Core Strength. To dive deeper into your practice, try our 4-part pathway to reset and reclaim your full power – the Renewal Series, guided by Adi. If you need help with specific poses that come up in a class or series, browse our pose directory for quick tutorials and modifications. New to YogaToday? Start your 14-day free trial , along with hundreds of classes and meditations for your mood, level, and lifestyle. Start your 14-day free trial & begin your practice for life.